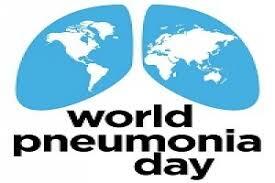 World Pneumonia Day is observed globally every year on November 12 to generate awareness about 'Pneumonia' disease. The observance of this day aims to highlight the severity of Pneumonia and bring together people from all over world to promote the prevention and treatment of the disease. Raise awareness about Pneumonia, the world's leading killer of children under the age of five. Promote interventions to protect against, prevent and treat Pneumonia. World Pneumonia Day was first observed in 2009 after more than 100 organisations joined together form Global Coalition against Child Pneumonia. At present, global coalition comprises of over 140 NGOs, academic institutions, government agencies and foundations. Pneumonia is a form of acute respiratory infection that affects the lungs. It is caused by inflammation of the airspaces in the lungs. Lungs are made up of small sacs called alveoli, which are fill with air when a healthy person breathes. When an individual has Pneumonia, alveoli are filled with pus and fluid, which makes breathing painful and limits oxygen intake. It is caused by a number of infectious agents, including viruses, bacteria and fungi. The most common are Streptococcus pneumoniae (most common cause of bacterial Pneumonia in children), Haemophilus influenzae type b (Hib) (second most common cause of bacterial Pneumonia), ‎Respiratory syncytial virus is the most common viral cause of Pneumonia. Besides, antibiotics can also treat Pneumonia by controlling the bacterial or fungal infection. Q. What is observed globally every year on November 12?